HP has managed to quietly reveal the Spectre x360 laptop among the massive smartphone and wearable announcements at Mobile World Congress in Barcelona, Spain. This new laptop, built in collaboration with Microsoft, takes a page out of Lenovo’s Yoga line and converts in a similar flipping and folding motion. 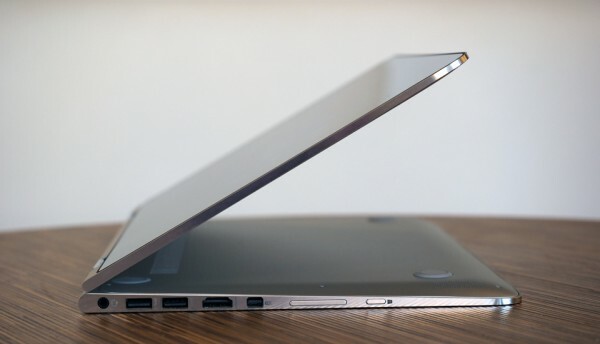 As an intended competitor for Apple’s MacBooks, the HP Spectre x360 packs premium level internals while also doing its best to be aesthetically pleasing on the outside. 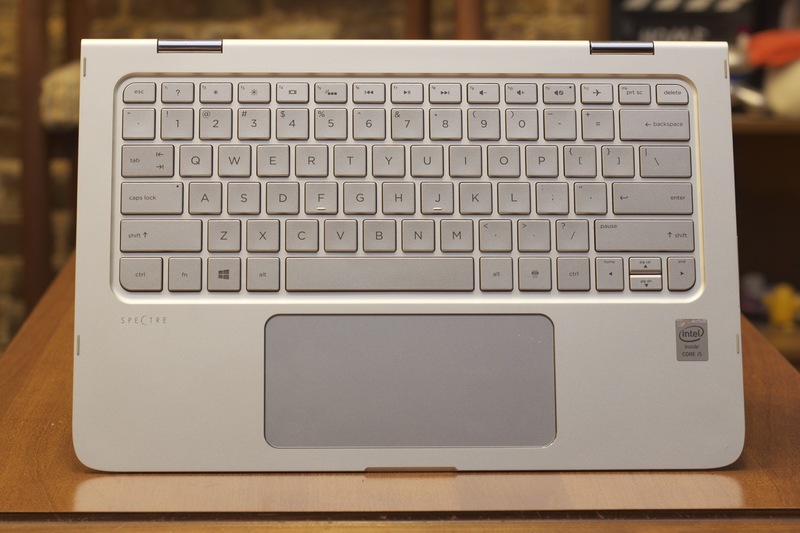 The 13.3-inch laptop runs on either an Intel Core i5 or i7 Broadwell processor with a choice between 4GB and 8GB RAM. It’s on the lower end of the premium specifications spectrum, but is more than enough for the average user. Storage-wise, consumers will have a choice of SSDs ranging from 128GB to 512GB. The display comes in either a 1080p Full HD or Quad HD resolution, and HP has taken extra steps on the screen to help improve battery life. Instead of constantly refreshing the image on the display, the Spectre x360 only refreshes the part of the screen that is changing, reducing the amount of power drawn. This, and other power saving measures, allows the Spectre x360 to have a 12 hour battery life; also partly thanks to the massive 56Wh battery. 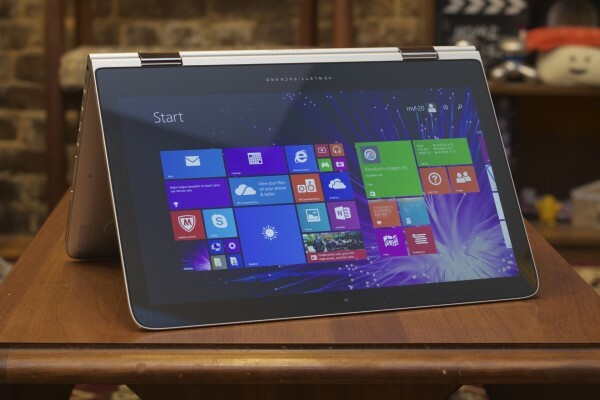 HP have packed the machine with plenty of ports, including three USB, an HDMI port, and a mini-Display Port. It will also apparently be packaging an ethernet dongle and a VGA converter along with the laptop for extra utility. The HP Spectre x360 has been released in the USA for a starting price of $899 (about RM3260). There is no information about international availability or pricing yet.